Nayma is the theme that will make sure your content gets out there. It’s as bold as they come, with strong design choices that will make friends wherever you take it. 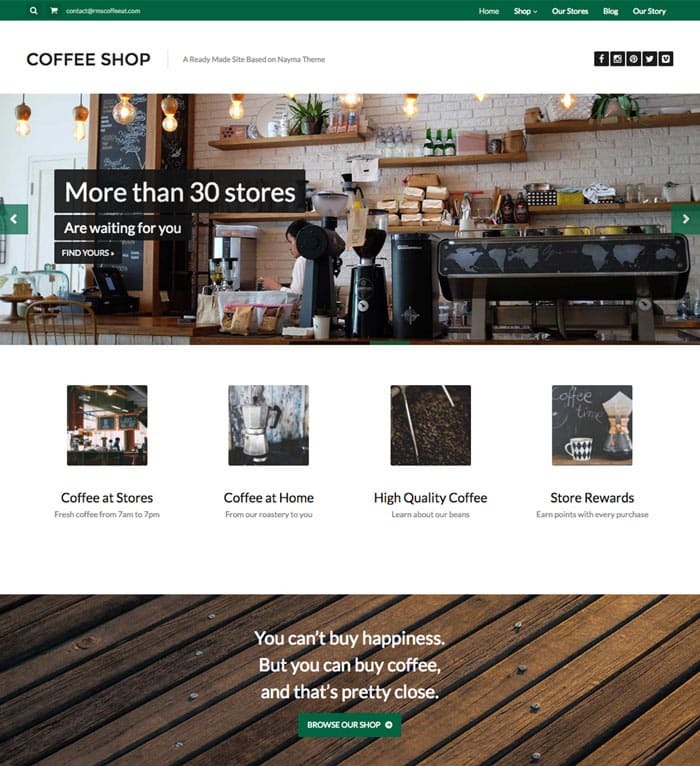 This theme will give you the casual vibe you want your website to have. And it’ll do it in the most natural way. Build your site with modules. Little bits of function & design that let you build complex layouts in minutes. No coding skills needed! What else is inside it? We pride ourselves in the support we give, so you can bet our Support Forum will always get you going. We usually respond in less than 24 hours. And you can also access our extensive Knowledge Base and Video Tutorials. Are images on the live preview included? 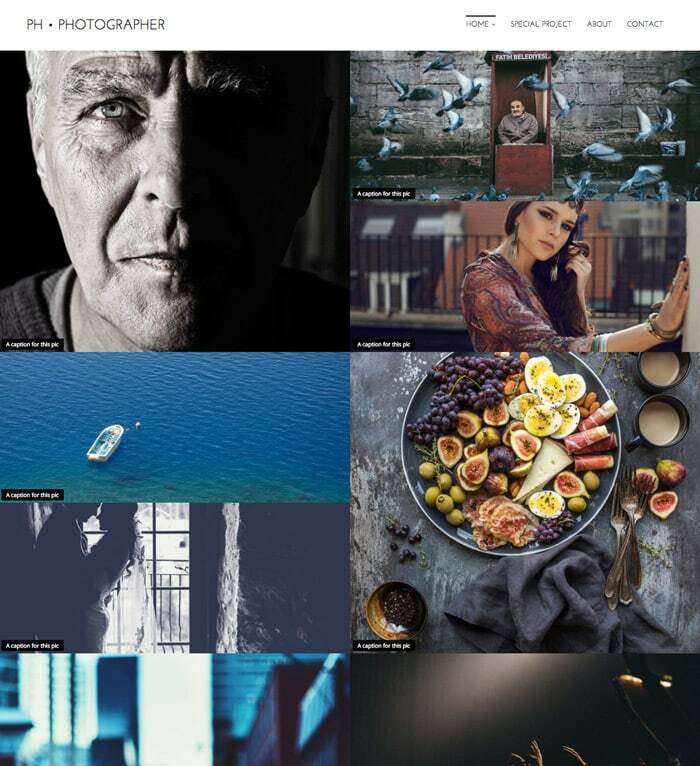 Images on the theme live preview or the Artisan Sites are for demonstration purposes only. When you install the RMS you'll see placeholder images which you can later on replace for your own images. 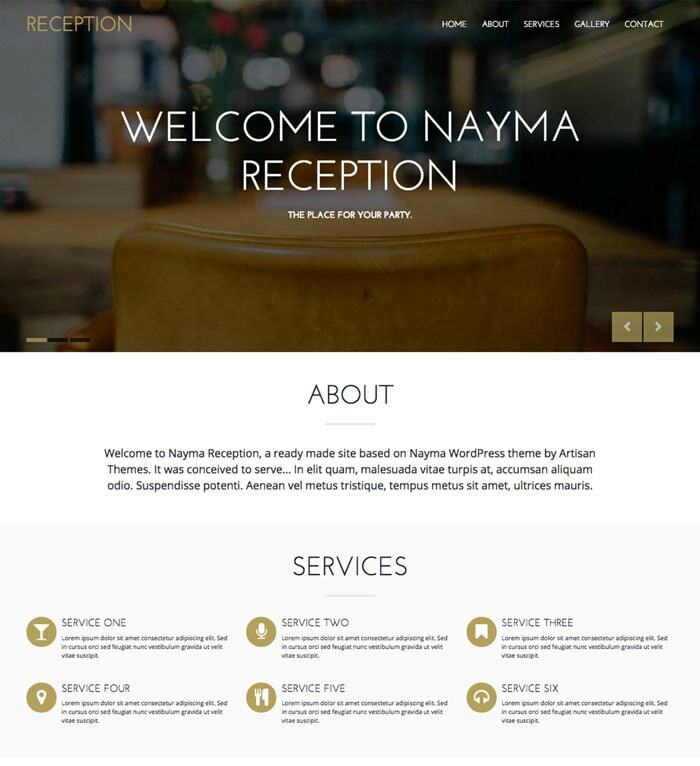 Get Nayma today and have a professional site in no time. Including our plugins suite and Nayma collection of Artisan Sites. 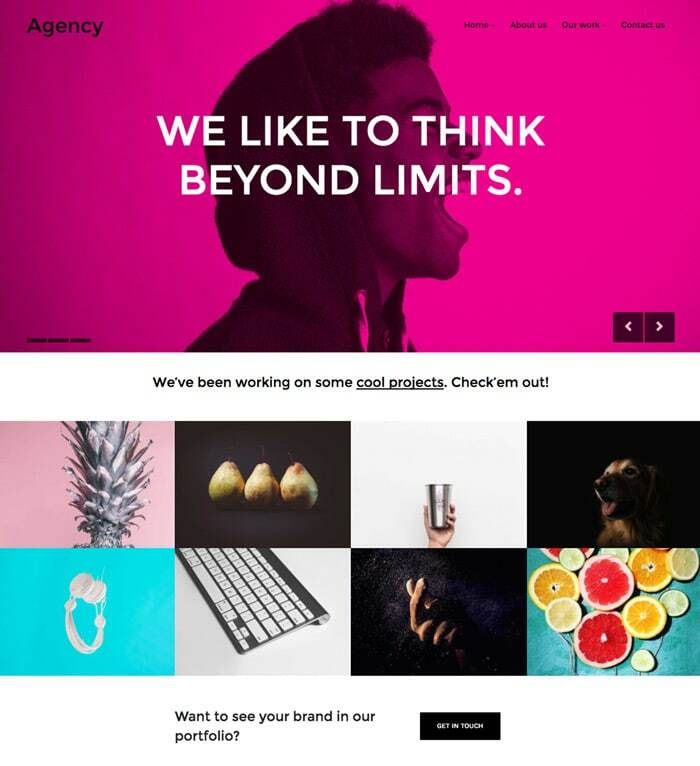 The Portfolio plugin adds a portfolio or catalog functionality to your website. Use it to showcase your work, products, or anything else in a catalog fashion. 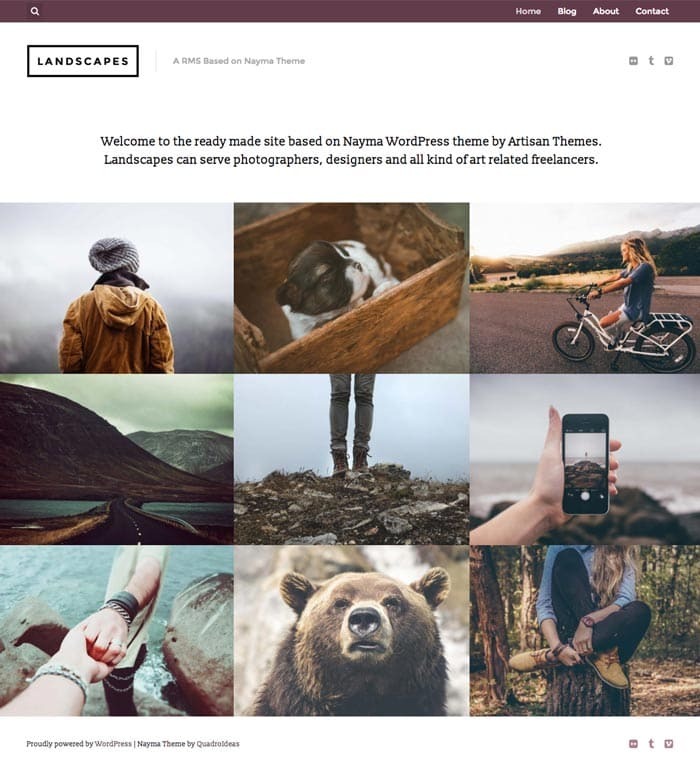 The Artisan Pages plugin lets you build a modular page automagically by clicking a button. Pick your desired page between a catalog of magazine pages, about pages, landing pages, webinar pages and more. Import it and fill with your own content. You can also save time by saving your created pages and re-using them. The Artisan Advances Styles plugin adds a palette of advanced style options to your modules so you can expand your site's design even further. 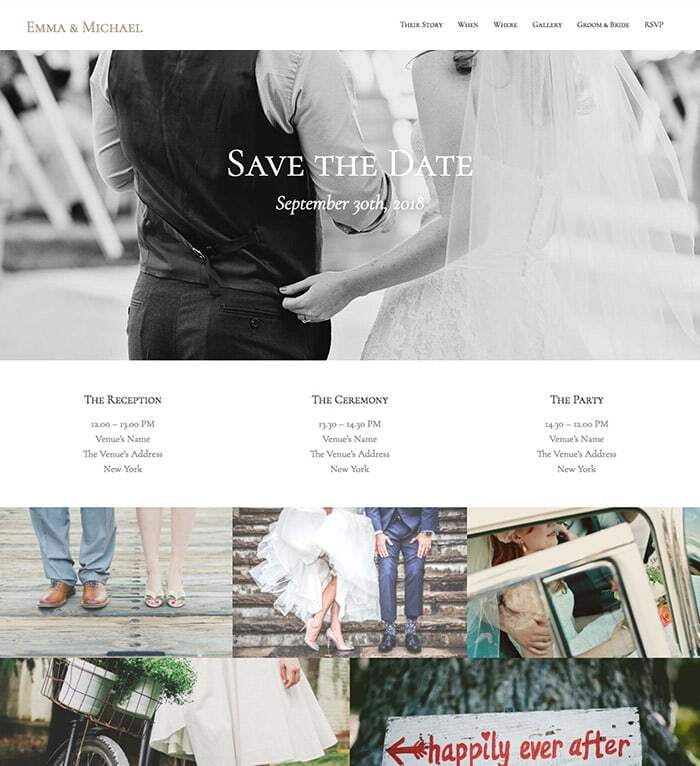 Paddings, responsive visibility, dividers, gradient backgrounds and more. 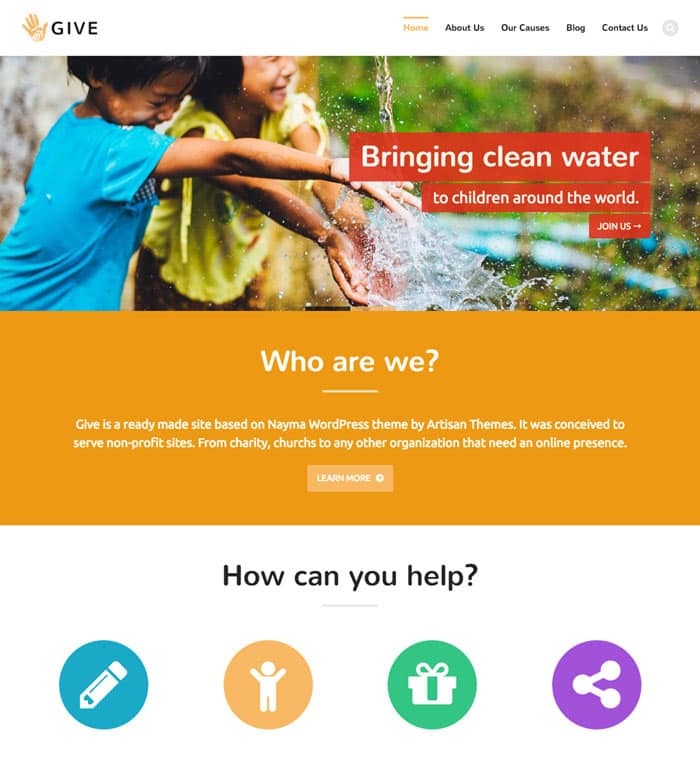 Nayma comes with a collection of sites you can import with a click. These are full websites created for specific purposes with many pages ready to use. Import the Artisan Site you like, replace the content with yours and you're ready to go. The site you need to build is just one click away. Access to our weekly webinar for users where we walk you through the first steps with your new theme, answer questions and get you pumped about WordPress. Get Nayma with a pro installation and a one-on-one strategy call. 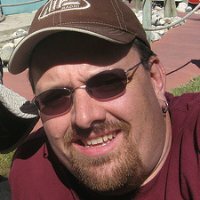 Will you build more than one website? 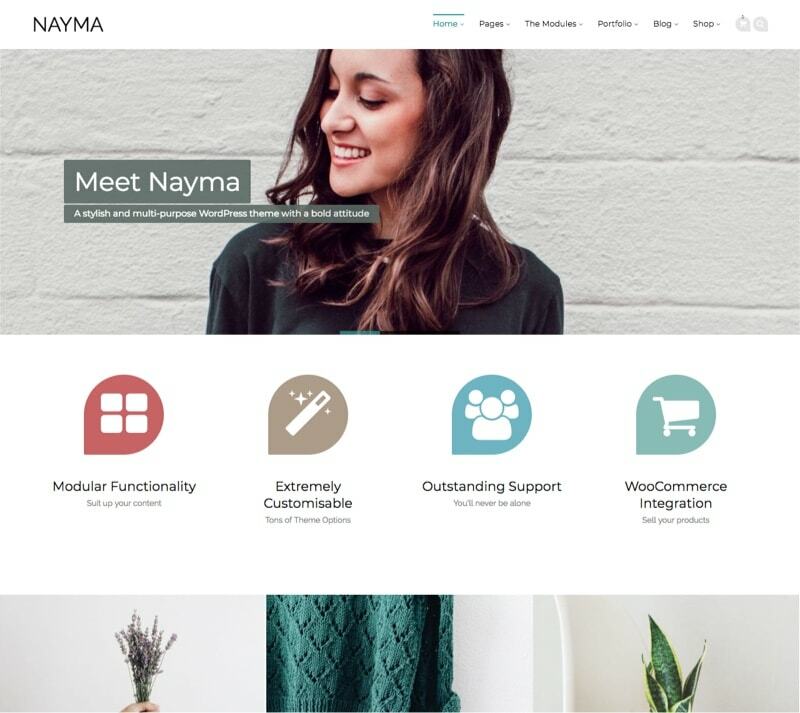 Ready to start crafting your website with Nayma theme? Secure payment. 30 day money back guarantee.